Excellent feeling when held in hand. Different than plastic cases on the market. 4 stars due to high cleansing maintenance. I love this case, far better than I expected and works great with my universal quad lock. Fits perfect cheapest place to fine it. I receuved exactly what I wanted. It's a great cellphone cover. Phone is better with this case. I think the phone is better with this case, it's easier to hold, it feels better. I'm not scared of smashing my new $1300 phone. Feels great in the hand, offers more protection than I originally thought, looks good and made of good materials so it doesn't show age quickly. Probably my favorite case for the note 8 so far. Not like suede. I was it with soap. Love the grip. Upscale feel. All buttons on side work perfectly even though they are incased in the covers protective edge. Case gives screen approx 1.5mm of raised protection on top and bottom edge. Stylus works perfectly and so too does loudspeaker . Lovely texture in the hand and good grip . Delivery took 2 weeks which gives it 4/5 as I was waiting on it . 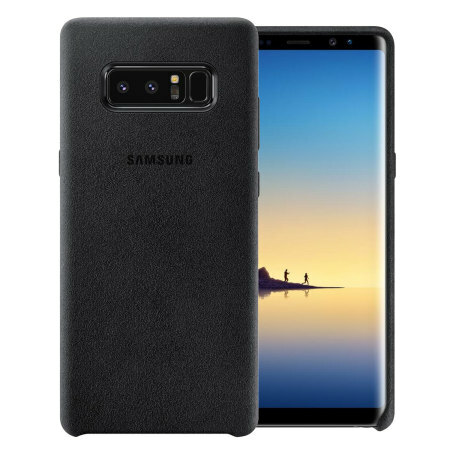 The Alcantara cover case is a great choice for protecting your "precious" note 8. Soft feel on the outside and fits perfectly. Excellent access to pen, headphones jack and charger. Just the feeling of the case. Not really liking that. Different and nice. Light weight, does the job. A bit pricey. This is a great case, it's made from the same stuff as racecar steering wheels, so it feels great and provides plenty of grip.